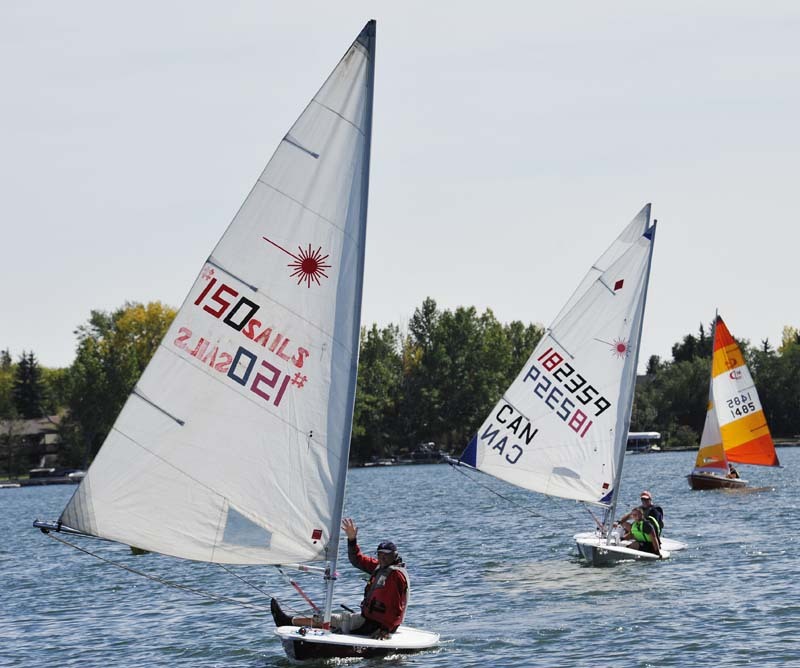 On a sunny Sunday afternoon, Art Buitenwerf joined by a small flotilla of friends and supporters set sail on his 150th sail of the lake for Canada 150. “I would call it a comfortable enjoyable sail,” said Buitenwerf. He completed his final sail on Sept. 10, about five months after he started the project on April 30. Now that he is done Buitenwerf said he is feeling tired but accomplished. He has been sailing since eight-years-old but has never embarked on a project like this before. “It was more rewarding personally than I thought it would be,” said Buitenwerf. Through the sails, Buitenwerf said he met a lot of boaters on the lake and some great experiences on the lake. He was impressed with the courtesy shown by the other users of the lake. “If I had a slow sail, or a drifter…I would always have a boat come up and ask if I needed a tow,” said Buitenwerf. Happily, he never quite needed to be towed in. Through the season, he sailed in almost every kind of condition there is, from storms, to days almost too calm to sail to night sails. “I had some beautiful sails,” he said. “I had some gorgeous nighttime sails under the full moon…under the stars,” said Buitenwerf. The night sails were his favourite ones of the project. After all these sails, he said that he has grown as a sailor and his knowledge of the lake has grown. “You’re a lot more intuitive as to wind changes and your position in the boat and your sail trim, that becomes a lot more automatic,” he said. 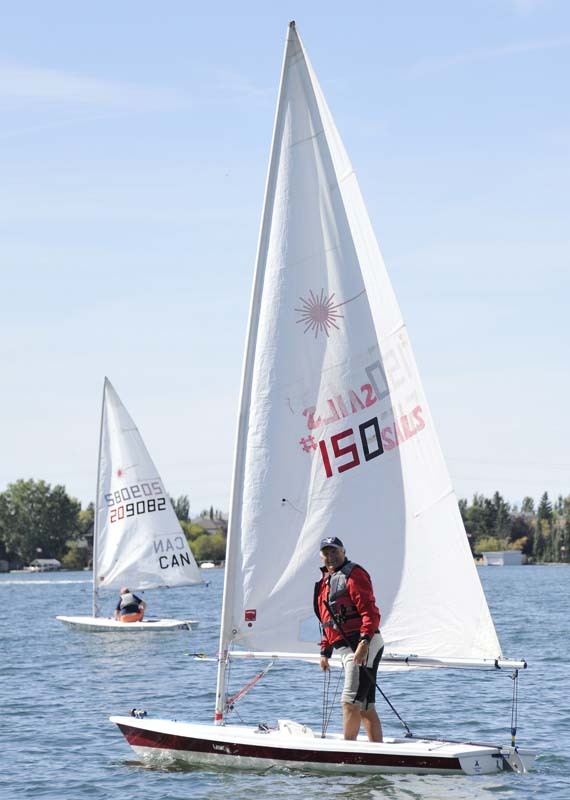 All this extra experience payed off when he managed to find time to compete in sailing regatta’s elsewhere over the summer. “I’m a lot more comfortable in the boat,” he said. 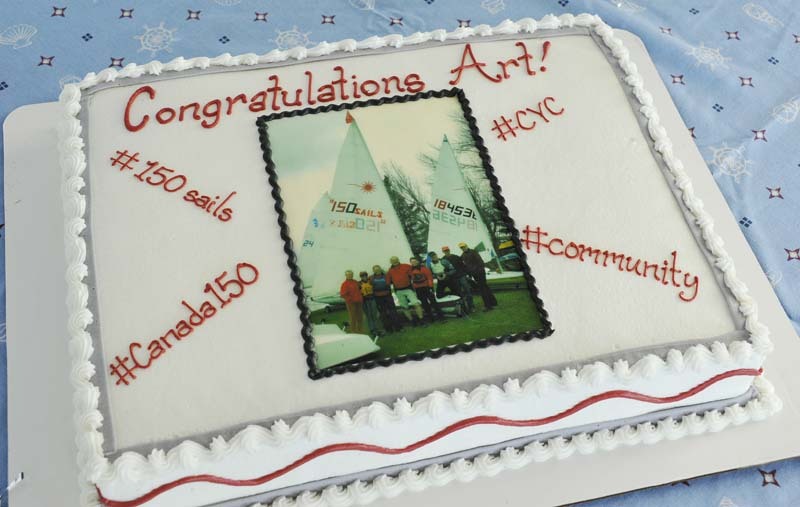 Buitenwerf embarked on this project to mark Canada’s 150 anniversary and to raise awareness of and inspire people to take up sailing. “I think I accomplished my goal,” he said. As awareness of the project grew in the community, he said he would be frequently stopped by people asking him what number he was on. Having finished 150 sails in a single season Buitenwerf thinks that despite how rewarding it has been its unlikely he’ll take on another project like this again. He plans to go back to sailing in local regatta’s and maybe three or four times a week next season.